SEO, paid search, social media, blogging—these are all effective ways to increase traffic and generate leads. But even with an effective marketing plan to optimize your web pages and create a strategic paid search campaign, there’s a missing link here that can help businesses really capture quality leads: the opt-in form. People who land on your website and stick around long enough to browse through a few pages may not be ready to place a call to your business or order a product, but they may be willing to enter their email address into an opt-in form. Placing an opt-in form on your homepage or creating a landing page specifically to capture emails is a great way to generate quality leads. · Who are you targeting? Think about your primary and secondary customer profile whom your business serves. These are the people you want to serve via the opt-in form, and by gathering email addresses. · What action do you want them to take? Most businesses create an opt-in form to gather email address. Creating a separate landing page for the opt-in form is a great way to isolate the call to action, or getting people to opt-in. However, you can also locate the form on your primary web page, in the sidebar or header. The opt-in landing page should generally be very clean, without a lot of other information or buttons cluttering the page, and focused, with copy, color and design those specifically direct users to take that one specific action. · What are you willing to give consumers? People will be less likely to type in their email address into an opt-in form unless they’re getting something in return. In exchange for the email address, you can offer customers a special report on how to get a lower mortgage rate, a discount or coupon to use in your brick and mortar store, or a video that talks about how your product solves a specific problem. · A headline that instantly grabs attention and draws readers in. · The benefits that they’ll get by subscribing. · A call to action that invites consumers to sign-up in a very clear, direct way. For optimal success, once you put an opt-in form to work on your website to generate leads, split-test your form to gain insight into your unique audience of consumers. The results of changing one or two components on the form lets you know what’s working, and what’s not. Making small but strategic changes to the font, form positioning, messaging, or design can drive more people to your lead-generating opt-in form. SEO, paid search, social media, blogging—these are all effective ways to increase traffic and generate leads. But even with an effective marketing plan tooptimize your web pages and create a strategic paid search campaign, there’s a missing link here that can help businesses really capture quality leads: the opt-in form. · What action do you want them to take? Most businesses create an opt-in form to gather email address. Creating a separate landing page for the opt-in form is a great way to isolate the call to action, or getting people to opt-in. However, you can also locate the form on your primary web page, in the sidebar or header. The opt-in landing page should generally be very clean, without a lot of other information or buttons cluttering the page, and focused, with copy,color and design those specifically direct users to take that one specificaction. Classic web Designs.in is a professional web designing company and web designers in Delhi India offer affordable custom web site designing and flash designing with a wide range of design solutions in India providing you with high in quality and round the clock support for your website needs. We are fully dedicated not just in giving your web site a professional feel but also in driving you and your potential customers together. Our affordable designs are user friendly and easy to navigate through providing a 24/7 web presence for your customers, with the latest prices and information on your products. Classic Web Designs.In was incorporated in 2008 with a vision to provide state-of-the-art web and business solutions across the globe. Our Vision is to provide business solutions to add value to our clients operations. Our products range from customized off-the-shelf software to Enterprise wide systems, from simple informational websites to web enabled CMS driven portals. Classic Web Designs.In is an Indian based Web design company specializing in customized web and business technology that helps companies decrease costs, improve efficiency and increase sales. We are a multi-disciplinary and experienced team of engineers in different fields with great skills and are devoted to our efforts to provide our clients with the necessary requirements for the project. Classic Web Designs.In' Web services include: Application Development, Website Design, WebDevelopment, Web Hosting, Graphic Design, Web Portal development, Business Solutions, E-Commerce development and IT Consulting and more Web technologies. We collectively work as a team, which has resulted in building lasting relationships with the client. We are confident that regardless of the size, scope or complexity of your project, we shall be able to perform to your exact requirements. Classic Web Designs.In is a website design company focused on developing a high end profile for both small and large companies no matter if they're building a first website from scratch or wanting improvement to their existing website. As web design and website development company, Classic Web Designs is a marketing brand owned by Classic Web Designs.In, a registered company in India. We have the right blend of technology, infrastructure and attitude to create an atmosphere of technological excellence and clients' delight. Since its inception, the company has concentrated on its core area of web site design & website programming to businesses and individuals. Our Punch line "Design of your Dream" well expresses our mission of providing highly functional and affordable website solutions | Web Services for empowering personal and business processes. In our journey of more than 5 years, our services portfolio has expanded and today we are known as a multidisciplinary web solutions company providing functional & user friendly website designing and programming solutions under one roof. We have been delivering Internet Consultancy, Creative Website Designs, Web Maintenance Services, Graphic Design Services, Business Identity Packages (Business Cards/Brochures/Visiting Cards/Envelops), Flash Designs, Static & Flash Templates Customization, e-Commerce Solutions, Domain Registration, Web Hosting Services, Search Engine Optimization Services and Customized Web Applications to a wide range of Clients in India and Overseas Markets. Our business policies are creative business suggestions, creative execution of website concepts, ensuring highly functional results and quick & efficient web maintenance and reengineering services. We believe in providing web solutions which deliver stable, scalable, reliable and revenue yielding results. What Stands us Out of Crowd is our Excellent and classic Website Designing and Web Development services at the most reliable prices, unequalled services, unprecedented support. We can undertake any size web projects for any size company. Classic Web Designs.In' Web services include: Application Development, Website Design, WebDevelopment, Web Hosting, Graphic Design, Web Portal development, BusinessSolutions, E-Commerce development and IT Consulting and more Web technologies. We collectively work as a team, which has resulted in building lasting relationships with the client. We are confident that regardless of the size, scope or complexity of your project, we shall be able to perform to your exact requirements. It’s 2014, and by now, most businesses have websites (and those that don’t, should). But just having a site isn’t enough if it doesn’t attract the right attention. With web trends in constant flux, staying current is key. Whether you’re redesigning an existing site or starting from scratch this year, the cost can vary from virtually nothing to many thousands of dollars. Generally speaking, the average price for a small business brochure website ranges from $300 to$1000. The cost boils down to three things – budget, timeline and quality. Each step can be inexpensive, or if you do it yourself, you may not have to spend anything. It’s like building a house – if you are a master of all the trades, you won’t need a contractor. But most people are not in that position. It depends on objectives and priorities. If you aren’t sure about your first step – website, blog, social, iPhone app – a digital consultant will save you time, money and headache by assessing your needs, identifying your online goals, and developing a strategy. The cost is anywhere from nothing to thousands of dollars, but then, that can apply to each stage in the process. However you choose to set out about creating a new site, here are the nine things you need to consider — and how much they’ll cost you. 1. Branding A new website is an extension of your brand and should project the image you want. Do-it-yourself online branding kits may cost a few hundred dollars, but a marketing firm or branding specialist can analyze your target market, provide multiple concepts, guide youthrough the process, and create something unique. Then you’re talking thousands. 2. Design The same is true for website design. Good design embodies such crucial factors as flow and user experience so the site is easy to navigate. This can also cost anywhere from nothing to thousands, and the same is true for how you make it work on the Internet with a Content Management System (CMS). Today most organizations want a website they can easily update themselves rather than using a webmaster as in the past; a ready-made CMS is available for a modest monthly fee. The cost depends on what features you want. 3. Mobile Another point involves ‘mobile readiness’. Today more than half of all searches are done on mobile devices, so your website better be mobile-friendly. You can achieve that with a separate mobile site or use an increasingly popular technology called ‘responsive design’. This is more expensive and will resize your website automatically, catering to whatever type of device is used. 4. Photography What about photography? Do you want to take your own photos, use a stock photo service, or hire a professional? And what about content writing? Many choose to write their own content, but that’s not as good as hiring a professional who knows how to seed the copy with phrases and key words that help search engines find your site. 5. SEO Search Engine Optimization (SEO) is also important. What good is a website if nobody can find it? Optimizing for search engines lets you drive traffic to your site, but as with the above steps, it depends on objectives and budget. A good search-engine campaign – just to get to page 1 in a popular market segment – can cost $500/month or more. 6. Content Once the site is designed and working on the Internet, and the copy is written, content must be added. That means text, images, documents and links for your pages. If you can do this yourself, great, but it’s faster to hire someone like classic web designs.in. 7. Social media Social media is all the rage nowadays, but is it for you? It’s easy to set up, but proper use of social media requires frequent, ongoing updates. Unless you have resources to maintain, monitor and manage your social media accounts, you may want to hire a professional. 8. 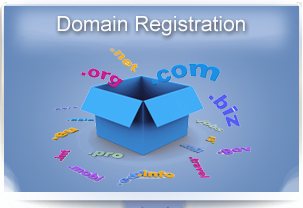 Domain A domain name is your company/organization name – .com, .in .net.co.in. It’s a good idea to include a keyword you want to be associated with in the search engines. The cost of getting a domain name is $10-$30/year per domain, depending on the extension and where you buy from. 9. Hosting finally, we have website hosting. Now that the site is ready, you need to put it on a computer that serves it to the world. Basic hosting is usually for static html files where you’re on one server with lots of customers. If a customer does something to crash the server, or gets hacked or blacklisted, you can be affected. Hosted applications are for websites with content management systems or e-commerce systems, and are often spread out over multiple machines to prevent a single point of failure. 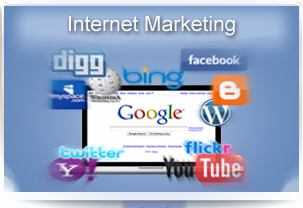 Selling products and services on the Internet is now very feasible for many companies. With a great selection of e-commerce tools, it is now possible to setup online catalogs and collect credit card payments with minimal costs. Classic web designs.In is one of the best ecommerce website development company in India and one very important feature is that the shopping carts we build for you can be fully managed by you. You will have the ability to track orders, add products, feature specific items, and we can integrate the website into a full content management system (CMS). If you are a small e-business, Classic web Designs.In can build you a cost-effective e-commerce website in HTML and PHP. Our certified and experienced programmers are here to tailor to your needs. We are not only a fastest growing website designing company in India but also Our well organized, easy to use E-Commerce Web Designs make it fast and simple for your prospective and loyal customers to purchase your products. You need an online store in which you can manage products, accept payments and so much more. We're here to create it for you. We are developing websites as per our customers need and at each and every stage of work customers were aware about the design and work of their projects. Every E-commerce website designing company in India says they can provide these services through their affiliates, but at classic web designs, all of our experts work together in-house for the most efficient integration – saving you time and money and everything is delivered to you under single roof. So you can stop your search for web design in Toronto. Our web design company is the one-stop shop you’ve been looking for! Generally businesses are more concerned with the graphic element of website design then they are to the structure, architecture & keywords & phrases around Google Standards & Guidelines. Our goal is to educate clients on the importance of designing your website so it attracts the most obvious demographic for your products & services, not necessarily what your "design preferences" are. We build our client sites architecturally & structurally with Google Standards & Guidelines in mind focusing on those elements and also on Keywords & phrases. 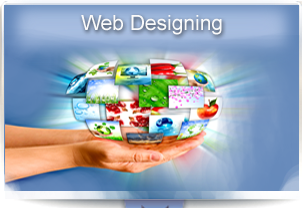 We make recommendations that follow the elements of effective web design. The main advantages of having an ecommerce website are.  24-hour availability  Global Reach  Keep an unlimited number of products  No business expenses (electricity, rent etc.) Our e-commerce solutions help website visitors find what they are looking for in 3 clicks or less. Our objective is to make the purchasing process simple and intuitive. We provide an easy and clear way for customers to add multiple items to a shopping cart and to securely proceed to checkout. So if you are looking for developing an ecommerce website for your business than you are at a right place, All you have to do is to pick your phone and dial the number +91-8882126655 or write us at info@classicwebdesigns.in and one of our industry specialist will contact you with the detailed quotation as per your projects requirement. Classic web Designs.in is a professional web designing company and web designers in Delhi India offer affordable custom web site designing and flash designing with a wide range of design solutions in India providing you with high in quality and round the clock support for your website needs. Apple has released a security update to address critical security vulnerabilities in its Java and Safari platforms. The company said that the update would include fixes for remote code execution vulnerabilities in both the web browser and media plugin platforms. The updates are being recommended for all OS X users. For Safari, the update will include patches to address flaws which, if exploited, could allow an attacker to crash the application and remotely execute code on a targeted system. No other security issues were addressed in the Safari 6.0.4 update.